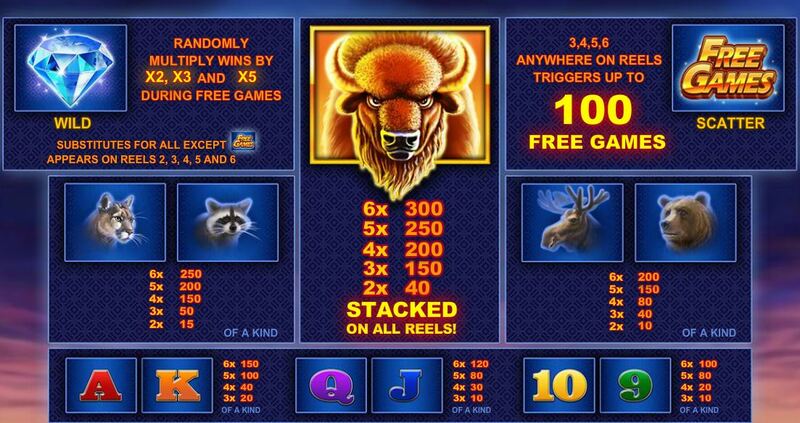 Buffalo Blitz slot by Playtech was clearly modelled on the hugely popular WMS game Raging Rhino. 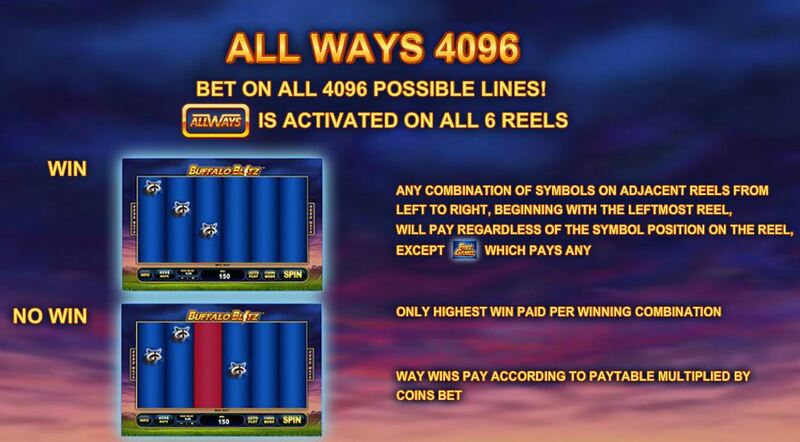 It has the same 4096-way 6 reels of 4 rows format and the stacked premium symbols, in this case Buffalo. The bonus game has an identical structure too, with 3 symbols needed to start with 8 spins and 2 more during them adding 5 extra spins in addition to the actual retriggers for 3 or more. In this case the Diamonds are Wilds as opposed to scatters. 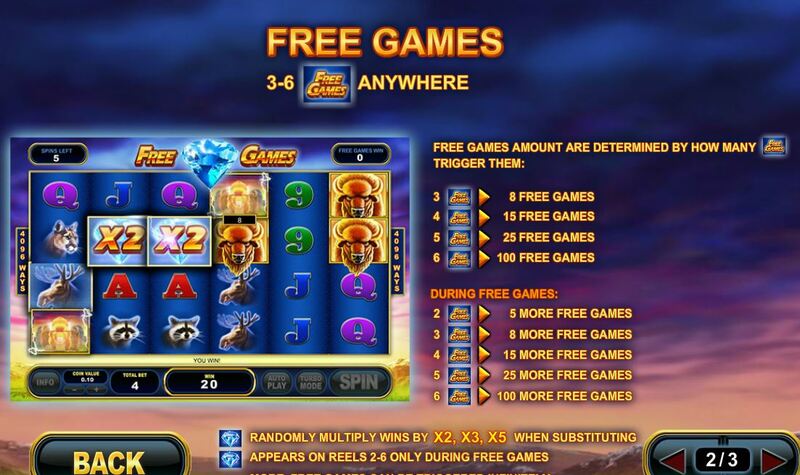 They will award a 2x, 3x or 5x multiplier in the free games and appear on the last 5 reels. 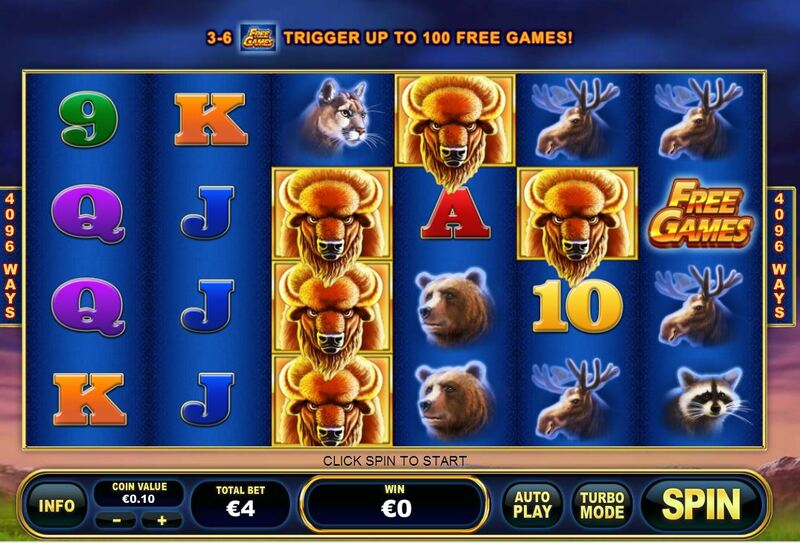 In the base game it’s possible to get them in view with the stacked Buffalo and it’s been worked out that hits of 30,000x stake are possible on Buffalo Blitz slot! The Diamond Wilds though don’t work quite the same as Raging Rhino Wilds in free spins which simply multiply the ways the win(s) occur in – on BB they multiply the pays for each winning way they appear in. RTP is 95.97%.